I've started contributing articles to RecipeYum. I've been doing it for a while now and I think my blog readers would really like to see some of those article so I'll start letting you know when I've added recipes. 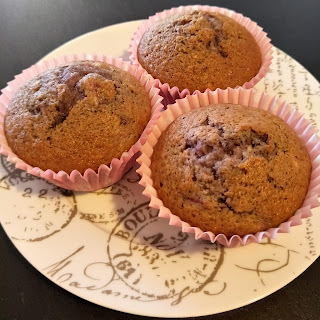 I've just put up a recipe for strawberry muffins on RecipeYum. It shows you how to make fresh strawberry muffins and the results are simply splendid. I've tried to make strawberry muffins before and failed, but this recipe is an easy strawberry muffin recipe that produces perfect results every time. In fact it is now one of my favourite muffin recipes. If you'd like to try this strawberry muffin recipe then please visit http://recipeyum.com.au/failproof-strawberry-muffins. I hope you find this recipe makes the best strawberry muffins you have ever tasted!